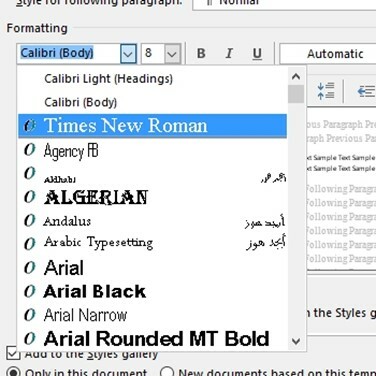 Sometimes users need to change the default font in Microsoft Word to match the firm standard or other documents. 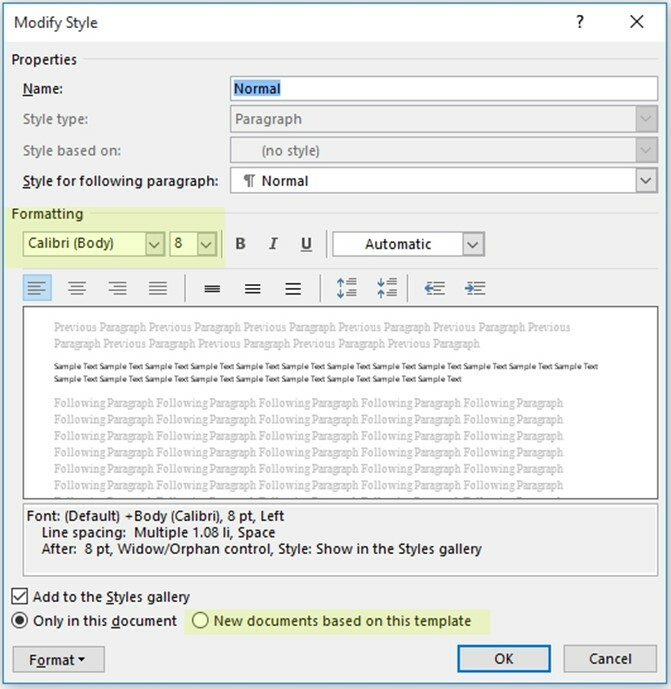 This can be done on each document, or by setting a default through Microsoft Word Styles. Editing the "Normal" Word Style and changing a few options will set that style as default. After clicking Modify the window below will display. The highlighted areas below are the important fields. Under the formatting section, Microsoft Word lists the font style and the font size. 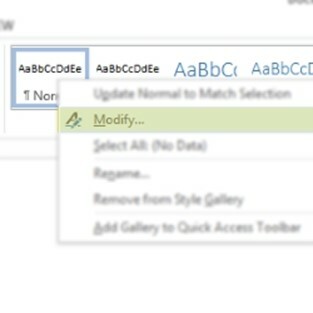 At the bottom, there is an option to make this change for every new word document. First change the font style and size by clicking on the drop downs for both. 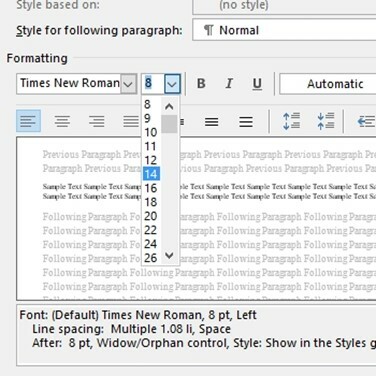 To change the default font to Times New Roman and size 14, select both of those from the drop down menus as shown below. Lastly, confirm this takes affect every time users opens Microsoft Word. To do this select "New documents base on this template" at the bottom. Click OK and now the default font in Microsoft Word will be Times New Roman size 14.